King Digital Entertainment, a London-based gaming company, announced this week that it will take the company public in an attempt to capitalize on the wild popularity of its game Candy Crush Saga. The free-to-play mobile game ritually entrances its 93 million daily players by challenging them to match three candies in a row. It was the most downloaded app in both the iOS and Android markets last year and its in-game purchase options account for 78 percent of King’s revenue. But can a company built on one sweet game, survive the tummy aches of answering to investors? Frank Lee, the director of Drexel’s Entrepreneurial Game Studio @ The ExCITe Cener, looks at the possibilities and perils of gaming companies going public. While the game itself is a free download, Candy Crush offers in-game upgrades for a cost. While only 4 percent of players pay for the upgrades, it still accounts for the majority of King’s revenue stream. My initial thought is that I personally wouldn’t invest in it. 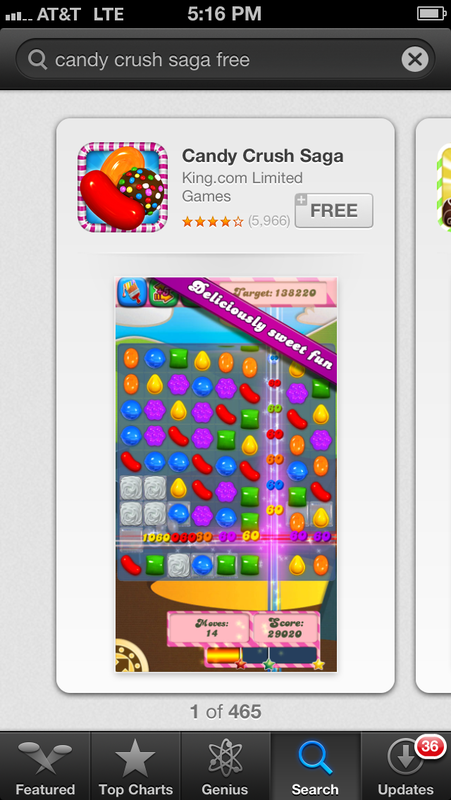 First, most of King’s business is based on Candy Crush. Yes, it makes a lot of money for the company now, but the game industry and people’s tastes are very fickle. Just look to Zynga as a lesson here. They initially flew high based on the success of Farmville, but haven’t been able to make any additional inroads, since going public. As more of these types of gaming companies decide to go public, what would a “safe” IPO look like from an investors’ standpoint? There is never a truly “safe” IPO for gaming companies I think, but I would say that a company that pushes for growth into to multiple revenue streams and media channels beyond gaming (toys, television, movies, etc.) for stability and robustness, would be a good candidate. I think a good example of trying to do this before their IPO would be Rovio Entertainment – the company that made Angry Birds. There are a lot of great games out there that make money for the people and companies that make it, but they don’t achieve that runaway success you see with Angry Birds or Candy Crush. Having a great idea and game is a good starting point, but it also requires a whopping dose of luck thrown as well. Is it perceived more like “selling out” in the game design community, since now they’ll have to answer to investors and find a way to better monetize their product? I guess if you are in it for the money, then putting out an IPO when you are flying high and cashing out is your path. But if you are in it for the long term and longevity, I would probably hold it private as long as I can and build out multiple streams of revenue and growth. And this is hard to do with investors hounding you every quarter. For gaming companies, what are the challenges of staying independent vs. going big? The big challenge of staying independent versus going big is trying to find that narrow path that allows you to maintain your vision and creativity while growing organically and robustly so that you are more resistant to the boom-and-bust cycle entrenched in the game industry. Most importantly, what does this mean for Candy Crush? I think they’ll try to squeeze more money out of the game, and in doing so there is the danger of them becoming so aggressive about it that it gets to the point where players revolt. A similar thing is going on with EA’s recently released title Dungeon Keeper, where players are unhappy about the mobile version because the number and the aggressiveness of monetized microtransactions really slows gameplay.